These wise men are forged from valuable copper and bronze by master coppersmith artist Jorge Monares of Santiago, Chile. The tallest wise man measures 5.5 inches tall. 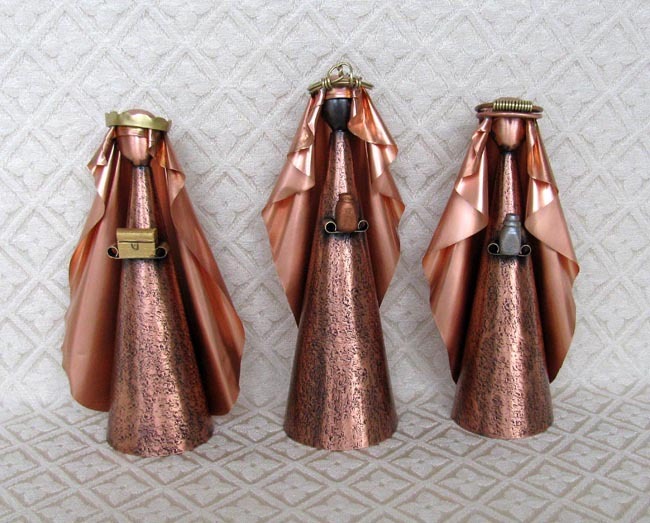 These wise men complement the Cone Holy Family that we also sell. $88 for three. Please click here for purchasing instructions. Special order.